Landmark On The Lake was built in 1990. 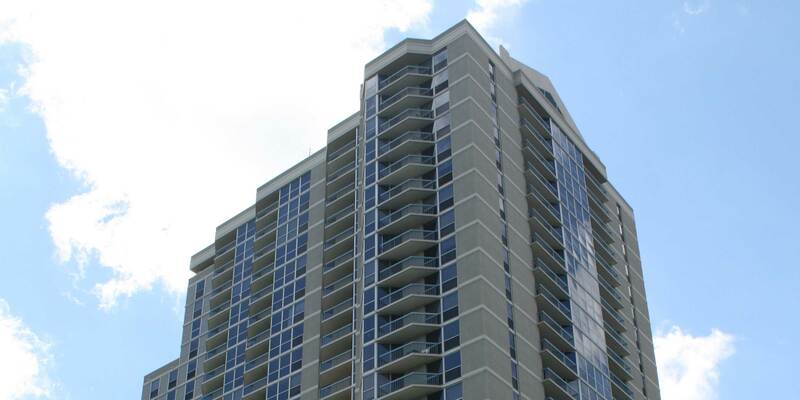 The tower is 28 stories high and is home to 275 residential units. Condos may feature floor to ceiling windows with gorgeous downtown views and beautiful sunset views of the bay, modern kitchens with new appliances, granite countertops, spa-inspired bathrooms, wood flooring and plush carpeting and much more. The delightful amenities include the reserved parking, extra storage, game room, heated swimming pool and whirlpool, a huge deck with many recreational activities to enjoy, and 24/7 concierge.